Shall we include video in the content marketing? Why not? Video Content Audit conducting is effective and powerful. But how can we know if the videos on the YouTube channel are performing or not? There is a way, and it is conducting a video content audit. What is Video Content Audit? So you are committed to video marketing and are delivering consistent video content to build the subscriber base. It is important to know if each of the individual content pieces is supporting the marketing goal or not. Video content audit helps in keeping organized and ensure that the videos produce are supporting the parts of the funnel. Here are the important steps for conducting video content audit. First outline the goals of the video, list the inventory of the video, make a spreadsheet of video assets. Include fields such as video title, the date of the video release, the topic, category, total views etc. Get rid of the videos that are not performing well. Identify if there are any gaps in the video content offering. Based on the gaps create new content. For auditing, the video content on YouTube channel, take the total number of views and then divide this by some videos in the channel. YouTube channel gives the average video views. This figure helps to know how the video content is performing. Use the promoted video option of YouTube to promote the content. We can get information about what is working properly for the YouTube channel and what is not working. The auditing did by comparing the channel to top competitors. We can also get answers to questions like from where the views are coming, how to sell with YouTube, what content should be made to improve the channel and what best practices are not being followed which is affecting the channel performance. The next step in YouTube video content audit is to know about the top viewed videos. These indicate the type of content that is performing well on the YouTube channel. The videos that are not performing indicate that these are not working for your business. Try determining why some of the videos are not performing. Watch time is how the audience is watching the videos. Analyzing this will help in organising the videos and also to promote videos with new ideas. Video Content Audit watched the YouTube analytics. Best performing videos, comparison of videos, geographical distribution and a map showing where the videos are getting the views showed. Knowing the audience retention analytics gives any idea of how loyal the audience is. Comparison of videos can be made to know about the performance of certain videos. 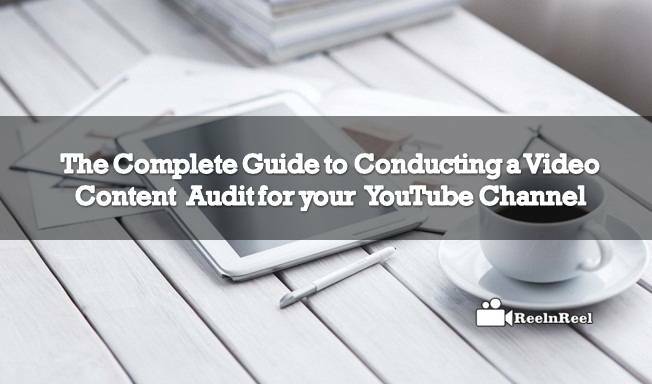 YouTube channel audit helps in understanding the performance of individual videos and make changes to the content strategy, distribution and audience development if required. It is difficult to understand the performance of the YouTube, and so hire a professional audit service they will give competition reports, performance reports etc. relegated to the channel. ReelnReel offers YouTube channel audit services. We analyse the data and identify the improvement opportunities to outperform the competitors. YouTube channel audit is placed into appearance, content, search and integration categories. The audit will show what is going right and what is wrong with the YouTube channel. And these services also give a comprehensive plan using which the channel performance can be improved.